This is the number you often see with a barcode on the back of a book. The letters ISBN stand for International Standard Book Number and there are agencies all over the world that hold these numbers and to which you can apply to buy one for your book. A numbering system for books was first introduced in the 1960s to help publishers conduct their businesses more efficiently. It wasn’t until the early 70s that one standard numbering system was adopted and that became the ISBN. Up until 2005 all ISBNs consisted of only 10 digits, but this has now increased to 13. When you come to buy your ISBN it will be made up of 13 digits. These are divided up into five groups of numbers with hyphens between them. Each group of numbers has a meaning and gives information about the publisher and the title. Each ISBN is prefixed with three digits, generally, 978. These are followed by the country identifier which is the country where the book will be published and where you will have bought your ISBN. The next set of digits identifies the publisher and the following group identify the book title. The final digit is a verification number for the whole of the ISBN. Where on my book do I put the ISBN? 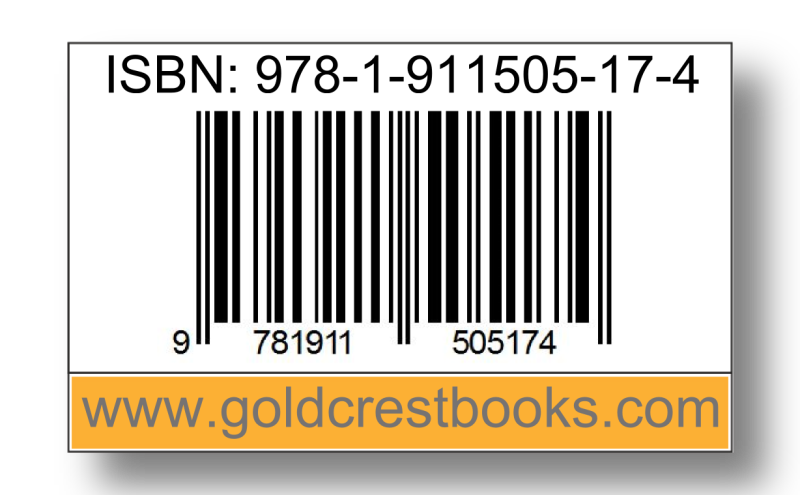 The ISBN is put into the copyright page of every book and is also displayed on the back cover usually as part of a barcode, which is the striped lines you often see along with the number. Retailers can scan the barcode and it gives them information about the title. Most books include the ISBN and barcode at the bottom of the back cover, generally in the centre or the right-hand side. If you are self-publishing with Amazon, for example, the barcode will always appear in the bottom right corner so bear that in mind when you are designing your cover. You don’t want to have important information obscured by the barcode. If you want to buy your own ISBN, you will need to use one of the licence agencies to acquire your numbers. You can buy them individually or in blocks. Each country or area in the world has its own agency and you should apply to the agency in the country where you wish to publish your book. So if you are in the UK you will approach the UK agency which is Nielsen. If you are in the USA you will be looking at Bowker for your ISBN. 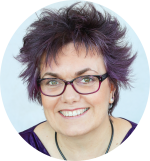 Each edition of your book will need a separate ISBN so if you have a paperback, a hardback edition and an audio book then you will need three. You will also need a separate ISBN for your e-book. If you are publishing your e-book not just to kindle but to iBooks then you will need separate ISBNs. If you have a series then each book in the series will need to have its own ISBN. You may have published your book in English, but want to offer a German or French edition perhaps. Each language will need its own ISBN. What happens to my ISBN if I update my book? If you make changes to your book then you will need to change the ISBN too. This doesn’t mean that if you find typos in your book and correct them that you need an ISBN, but if you added an extra chapter or significantly changed the information within the pages then you would need to publish with a different ISBN and it would be a new edition. Changing the cover of your book doesn’t necessarily mean you need to have a different ISBN unless for marketing purposes it makes more sense to do so. Can I change or cancel my ISBN? Once an ISBN number has been assigned to a book it stays with that book for ever and cannot be reused, even if the original book goes out of print. Once assigned, it is not possible to cancel an ISBN if you change your mind and decide not to publish. When should I buy my ISBNs? You can buy your ISBNs before you have finished writing your book. You don’t need to have published a book to acquire one or even to register it. If you know the title of your book it is a good idea to register the ISBN even if it is not yet in print because it gives the system behind the ISBNs time to distribute that number and make it known to retailers etc. How long can I keep an ISBN before using it? There is no time limit by which you need to have assigned the ISBN. Once you have bought them they are yours forever, to use as and when you need them. When do I NOT need to assign an ISBN to my book? If you’re not going to sell your book you don’t need to give it an ISBN. If you are keeping your book and having it printed just for friends and family you do not need an ISBN number. If you are just going to self-publish with Amazon, for example, then you don’t need to buy your own ISBN as you could choose to use one of the free Amazon numbers. However, I think it is better and more professional to have your own registered ISBN. Do I need to have my books printed in the same country as my ISBN? If you have an ISBN from, say, a UK agency, that doesn’t mean you must have the book printed in the UK. You can print the book wherever you like but the ISBN must be from the country where you are publishing. I hope this has answered any questions you may have regarding ISBNs but if I haven’t answered your specific question then do leave a comment and I will answer it there.